The heavy guns can be heard firing on the nearby French Cotentin Peninsular. Horrific atrocities inflicted by the German Forces have filtered through to the media. Imagine you are given hours to decide whether to leave the island of your birth, or remain at the mercy of the Germans Forces. Do you choose the promise of safety over the danger of uncertainty? This scenario is not fictional. This really happened to thousands of islanders living within the shadow of Occupied France. The Channel Islanders, fiercely proud and independent were about to be tested to their limits. Families were to be torn apart; some would not return to their beloved island. Others would suffer the effects of five years separation for the rest of their lives, and for the ones who stayed behind, forced to face the enemy, the future was far from certain. 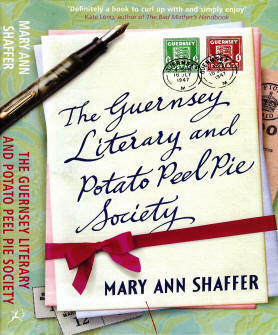 Mary Ann Shaffer, author of the Guernsey Literary and Potato Peel Pie Society became interested in Guernsey whilst visiting London in 1976. On a whim she decided to fly to the island, but unfortunately became stranded by adverse weather. It was during this time that she became fascinated by the German Occupation, and effects it had had on the islanders. 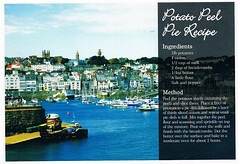 The Guernsey Literary and Potato Peel Pie Society Tours are designed to bring the book to life. You will be visiting places described in the book, and your expert local guide will attempt to get you to understand a little more about the stories of heroism, tragedy and above all triumph over adversity. The first part of the tour will take in the sights of the capital, St Peter Port. Walking around the old harbour, you will be taken back to the evening of July 28th 1940 and the surprise air raid attack by nine German Heinkel bombers which killed 29 innocent locals, and wounded many more. The walking tour will take in other areas of the town, described in the book, Fountain Street, High Street, Le Pollet, Candie Gardens and Victoria Tower. We visit the old Town Hospital where the heroine, Elizabeth, helped the poor child infected with scabies, and see first hand where the Germans were entertained by the French women! Boarding a coach, the tour takes a route towards the parish of St Martins. It is possible to imagine the places where the characters in the book, lived. The narrow roads in Calais Lane, the Grand Manoir at La Bouvee, and Sir Ambrose’s House, set in fine grounds and rolling countryside. Disembarking from the coach, the guide will walk you past grassy verges, emerging on the magnificent south coast cliffs, above Petit Port, where Elizabeth met her German lover. Woven into the tour will be stories of quarrying, witchcraft, fishing and sheer heroism, as the locals tried to make do and mend during the five long years of Occupation. A trip to the Underground Hospital and a personal tour of the largest German Bunker in the Channel Islands, would be seen by many, as a highlight of the visit. During the tours, the guide will pay particular reference to the Guernsey Literary and Potato Peel Pie Society book, whilst suggesting a selection of reading matter relating to the Occupation of Guernsey. The chance to discuss personal tales with the people who lived on the island or who were evacuated at the start of the War, may be arranged. It is hoped that the excitement generated by the book, will be experienced by those who visit Guernsey, wanting them to return again to learn more about its proud people, its fascinating history and above all, its dogged determination to move on and learn from this period of history.